In the field of Communications, Nancy Marriott has done it all. She currently owns her own editing company, New Paradigm Writing, Editing and Coaching Services, and has worked as a free-lance book editor, author, and coach for over 15 years. You may know Nancy better as the Newsletter Chair for AWC-SB. Although she no longer serves as a board member, Nancy remains a mentor and member of AWC. In honor of the impeccable writing and teaching Nancy has contributed to AWC-SB, we would like to highlight her personal and professional achievements. Nancy received her Bachelor’s in English from the University of Massachusetts and pursued a Master’s in both English and Theater Arts at Columbia University. She also spent time abroad at Oxford University, and later earned a TESOL certificate in English as a Second Language from UCSB. Nancy’s career path first led her to Viking Press where she worked as an editorial assistant. Later she took a medical editor position at the University of California at San Francisco. Her extensive training and experience allowed her to coach people on how to achieve their goals. She has led numerous seminars on personal growth and productivity. 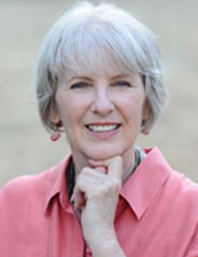 Nancy started her writing and editing service in 1996, assisting authors in all phases of book writing to develop their ideas and texts and ready them for publication. Her particular slant is transformational books, both fiction and non-fiction, books that impact people and aid in changing lives. These types of works, in addition to her love for words, is what inspired Nancy to build her business and help others through every stage of writing and life. In addition to these past achievements and owning her own business, Nancy is an Adjunct Instructor in English as a Second Language at Santa Barbara City College. Occasionally she teaches guest programs through UCSB. 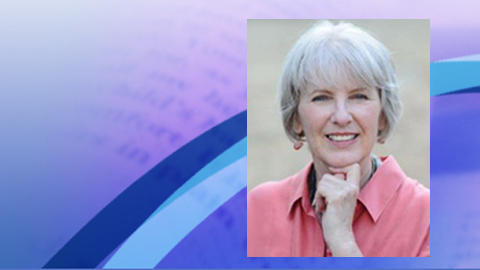 Nancy stands out because she has embraced a spiritual path in her writing and life coaching. She has spent a good deal of her life seeking higher consciousness in many different forms. She also has a strong interest in cutting-edge science, especially the health field, and Eastern philosophy, which explains her well-rounded expertise. She is developing a seminar series aimed at people who want to write and publish transformational books. Nancy will be starting a pilot program in September and will keep any interested followers informed via her website, NancyMarriott.com. Or you can contact her through email at Nancy@NancyMarriott.com . “I’m a voracious reader,” Nancy noted about her career as an editor, “But I went through a period of 10 years when I didn’t read a single thing. I had an opportunity to experience life more directly, and when I returned to books, I could approach writing and editing with fresh eyes. It took ‘dropping out’ to really ‘tune in’.” Since then, Nancy has strived to run her business differently and take on each project like it will make a huge difference in the world. Her supportive coaching tactics and warm-heartedness make her an approachable friend and mentor. Nancy is always helping writers to build their confidence as well as turn out excellent books. This entry was posted in Featured Members on August 6, 2012 by Lisa.